For some reasons, the Google Toolbar is no longer can be used for the latest Firefox version 5 and above. So you may consider NOT to update your Firefox if you really like Google Toolbar like me. Dear Firefox, I hope I don’t need to make you the top 1 reason that I don’t want to use you like Google Chrome. 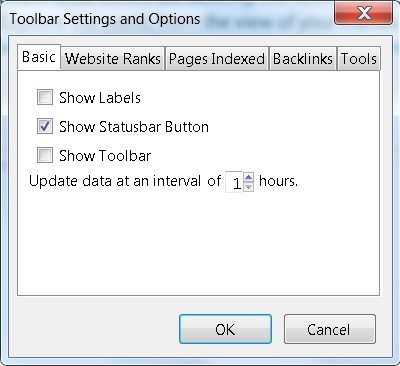 2 key features I love Google toolbar are “PageRank” and “Bookmark” as mentioned in my previous post. For bookmark, I think the easiest way is to access “google.com/bookmarks” directly and I think it is still okay without the toolbar. Unlike for Google Page Rank checker website, it is very inconvenient. First, you need to copy and paste the URL to the website. Second, you need to key-in the words verification. Third, you need to click and wait. I really feel this is very not efficient at all! When I tried on the Chrome extension for this WebRank toolbar, it seems like the Google Page Rank cannot be shown for some of the web pages (e.g. my blogs). It seems to me there are still bugs with Google Chrome extension. So, my recommendation is use the Firefox Add-Ons first. Good luck and have fun playing with this WebRank toolbar! I can watermark many photos or pictures at once automatically. I used to manually open each single picture or photo to perform the watermarking by myself using MS Paint. Stupid isn’t it? I can customize the watermark such as transparency percentage & color of the watermark, watermark location, and customized watermark image. The default setting is not really useful. So, after you make the changes to the software you will need to save the setup file (i.e. WMI) or else all your settings will be lost! You just need to go “File->Save Setup As”. You can save as many as setting as you wish and you can later open it. I also don’t like to resize the image so I uncheck it. I like to use 70% transparency and location at the lower right. I also uncheck the “Add Border” which is enabled by default. I also use text as I don’t have the watermark image yet. Anyway check out the before and after image below! Is it cool? 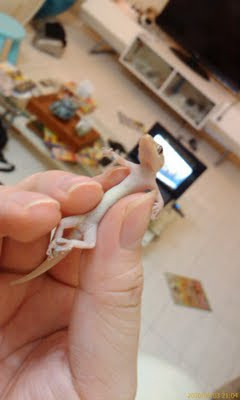 Or the lizard is cooler? lol. Opps… I just realized I forgot to at the link. 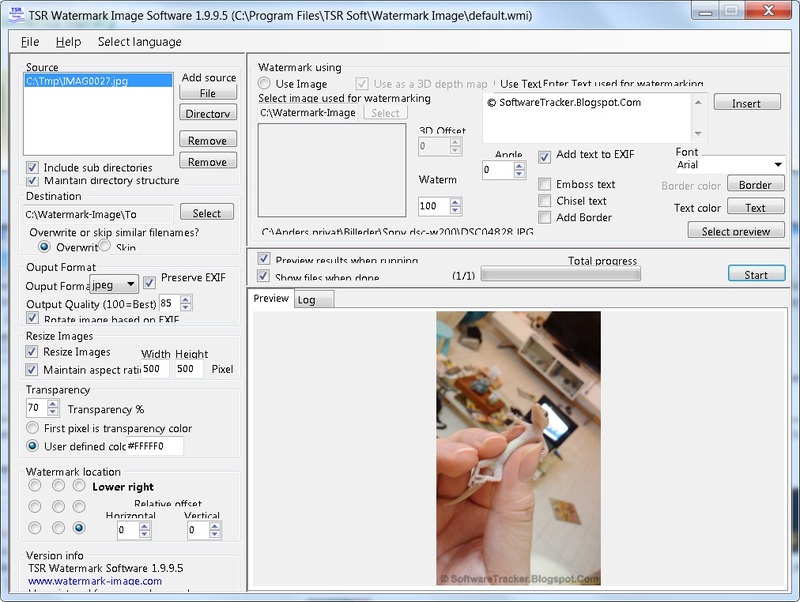 Here you go, you can download this free watermark software from TSR Watermarker. This piece of awesome software is developed by Anders Pedersen and it is only FREE for PERSONAL USE. Enjoy!